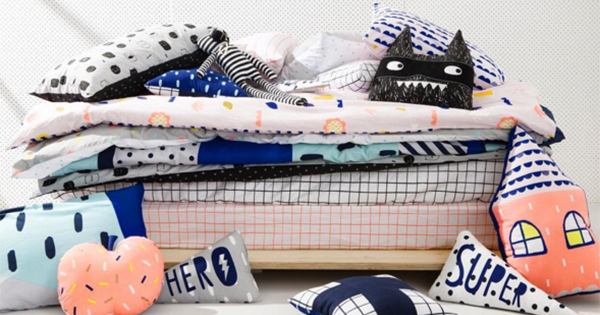 Cotton On Kids’ new season of kids’ room decor proclaims that we should all wake up happy. Between the eye-poppingly bright colours, luxurious metallic details and plethora of prints, how could we wake up any other way? This season’s bedding from Cotton On Kids is all coral, gold, grey and shades of blue. 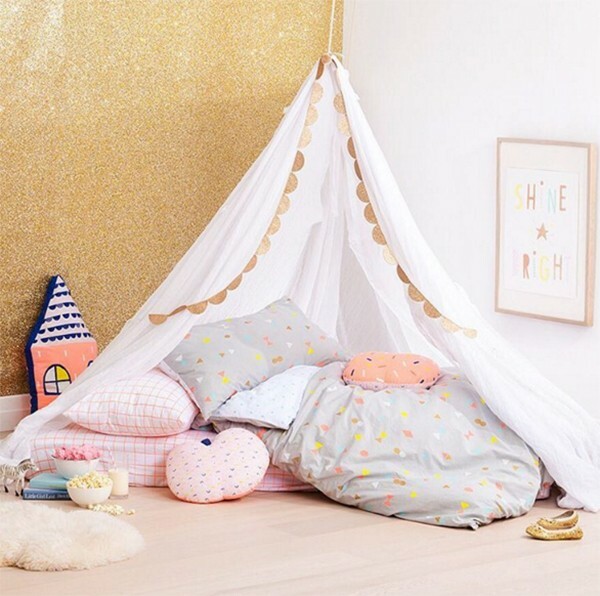 There are cross-hatched fitted sheets ($29.95 – $44.95), doona covers strewn with stripes, confetti and jelly beans ($49.95 – $69.95) and pillowcases with patterns galore. For something else pretty sweet, there’s the gold spotted Miffy-eque Festive pillowcase ($16.95), and the fluffy floor cushion perfect for dive jumping. Boys might prefer the impish ninja rabbit print which is a very cool complement to the Miffy theme. The lemon slice cushion ($7.50) with its fresh colours of yellow, pink and aqua is another favourite. The bold yellow running stitch border is such a nice detail, you might find this particular cushion lifted from the kids’ room and sitting on the parents’ bed instead. 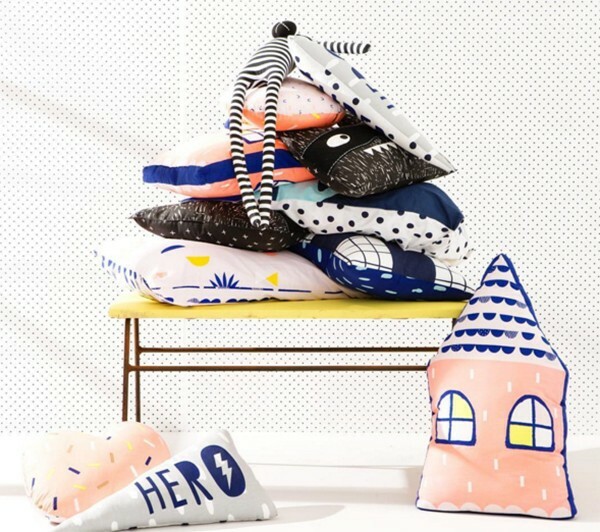 Cotton On Kids‘ new decor collection is online now and shipping is free in Australia if you spend more than $55. You can also browse it in stores.